On Thanksgiving Day, Steelers coach Mike Tomlin inadvertantly step onto the field of play while the Ravens Jacoby Jones ran back a kick 73 yards. It appears that Tomlin’s presence influenced Jones’ route. 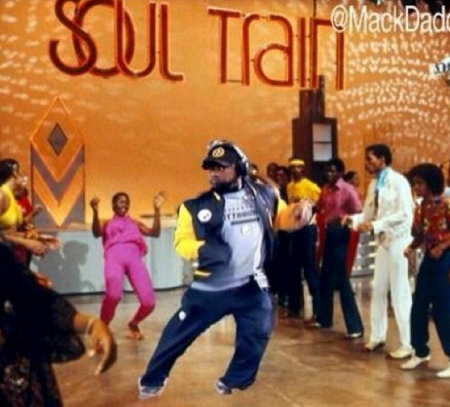 There were many comments that Tomlin cheated and did this on purpose. Tomlin has said that he was watching the return on the Jumbotron, which offers a TV view rather than the sideline view. You can debate this all you want. This is what excellent leaders do- they take responsibility. Coach Tomlin did not wait for the media to ask him about the event. He came out and took responsibility for his actions, the perception of his actions, and the impact they have on him, the organization, and the league. While Tomlin explained why he was where he was (watching the Jumbotron), he did not make an excuse. Tomlin even made a joke about a meme that was on the internet and it seemed to diffuse the situation a bit as he was able to laugh at himself. Leaders make decisions all the time. As leaders, the success of our organization, event, or team are impacted by the decisions we make (and do not make). Our decisions impact the public’s perception of our organization and of ourselves. An excellent leader does not look to assign or shift blame. A great leader takes responsibility for blunders and mistakes and distributes the praise when there is great success. While I am sure that Coach Tomlin would like to have that moment back and not be so close to the field, his response at the press conference shows that he understands the responsibilities of being a leader. This entry was posted in Leadership and tagged Baltimore Ravens, Jacoby Jones, leadership, Mike Tomlin, National Football League, NFL, Pittsburgh Steelers, Ravens, Thanksgiving, Tomlin. Bookmark the permalink.